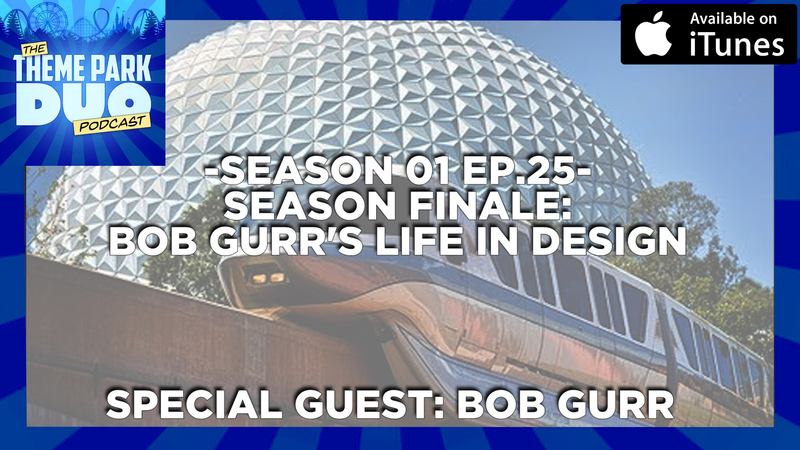 On the SEASON FINALE Episode of The Theme Park Duo Podcast, The Duo have the honor of sitting down with Disney Legend Bob Gurr to chat about his life in automotive design, theme park design and so much more. We get one of a kind stories about Walt Disney and even attractions that were never built for the Disney company! Before we jump into our interview with Bob, we chat about our amazing experience with Chill, the ALL NEW winter wonderland experience at The Queen Mary in Long Beach California! We hope you enjoy this XL sized episode and we will see you guys in the new year!